As your professional partner, Bunny has the drive and creativity to help you achieve your real estate goals. She brings hard work, loyalty, and above all, integrity, to her real estate career. She keeps up with changes in technology, industry regulations, buyer and seller priorities, and economic conditions. She is not afraid to advise clients about what is in their best interest; it's all about meeting expectations. She was born and raised in North San Diego County. This gives her extensive knowledge of the area neighborhoods, which is an advantage that few agents can claim. 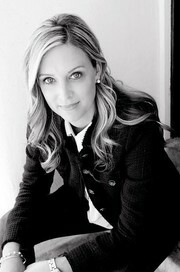 She specializes in real estate from the region's most prestigious coastal communities. Bunny's goal in real estate is to build lasting relationships with her clients so that she can continue to support them well beyond the close of escrow. She provides thoughtful counsel to her clients and enables them to make sound, informed decisions. She truly values the personal relationships that are created. To do this means having systems in place to make sure that deadlines get met, appraisals are ordered, home inspection responses come in on time, appointments aren't forgotten, and problems are solved.